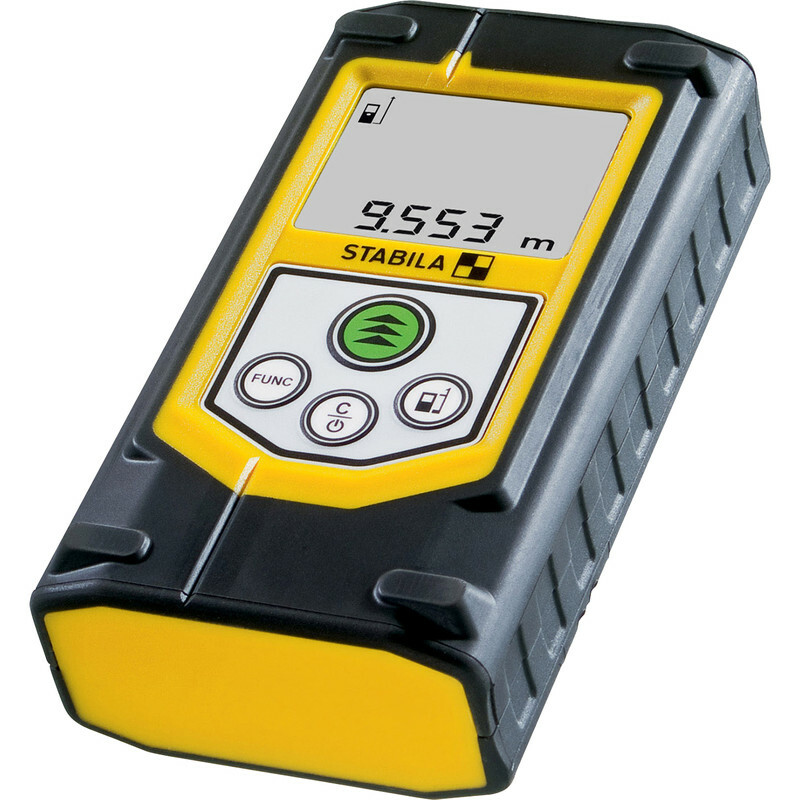 Compact laser distance measurer with 8 measuring functions: length, area, volume, continuous measurement, Pythagoras with 2 and 3 measuring points and minimum and maximum tracking. Measuring range of 0.05-60m and accurate to ±1.5mm. Large digits and display lighting make the measurer easy to read and operate. Impact-resistant housing with shock-absorbent, soft-grip casing. Integrated target tool (notch and bead principle) allows targets to be located, even at great distances. Supplied with a belt pouch, 2 x AAA batteries and wrist strap.